Try to count recent dramas about female adolescence. Not so many, right? Then, of those that have screened here, think about the level of hysteria at which they’re usually pitched. A reel of wince-making outbursts will flash before your eyes: Thirteen, Fat Girl, Girls Can’t Swim and pretty much any other French film on teenage girlhood from the last ten years. If So Yong Kim’s beautifully assured minimalist first feature were based solely on the merits of its sound design, it would still rank as one of the best about adolescent girls. Yet the relative hush of In Between Days shouldn’t be mistaken for reticence about exploring tumultuous emotions. 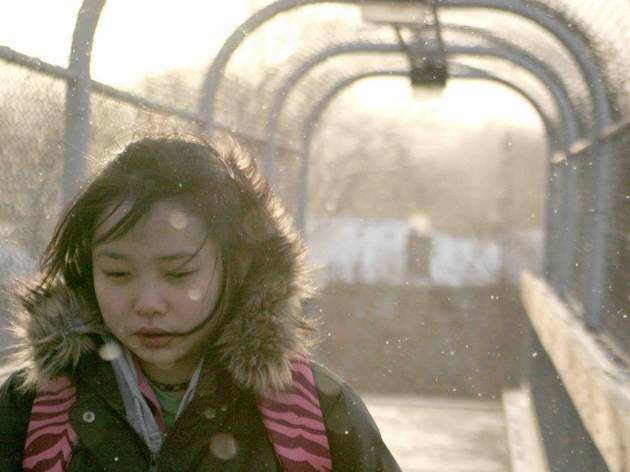 The long silences in this story about Aimie (Jiseon Kim), a Korean immigrant living with her mother in Toronto, who spends most of her time with Tran (Kang)—her best friend/biggest crush—allow the viewer to focus on the face and gestures of the young actor. The director knows what it feels like for a girl: As Tran and Aimie come together and grow apart, the passive-aggressive stances and subtle power plays unfold with remarkably unforced believability. All of the performers in Kim’s film are nonprofessional. Although each is amazing, Jiseon Kim is a tiny miracle. Whether withdrawing under her pink bedspread or matter-of-factly delivering a cutting, cruel remark to Mom, she knows just when to retreat and when to pounce. 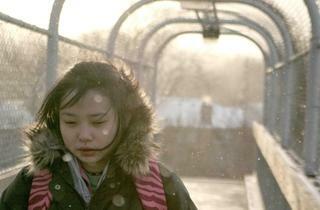 The director based In Between Days on her own experience growing up in Los Angeles’ Koreatown. Her immigrant song, however, rings true to anyone who’s ever moped and yearned.